We will take anything, full bikes, parts of bikes, working or not. 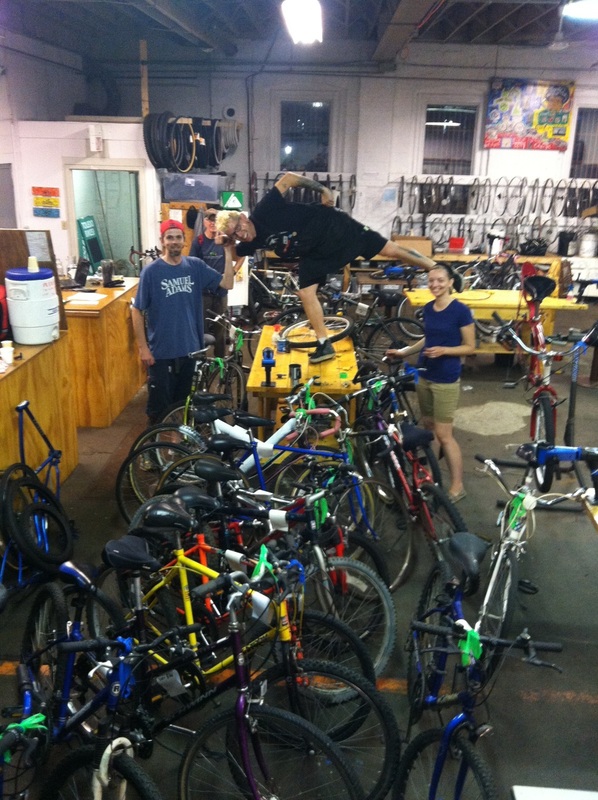 We rely heavily on bike donations and parts to get them into the hands of those that need them. Monetary donations also help in repairing donated bikes, sustaining our programming, hosting special events, and adding to our tool library. 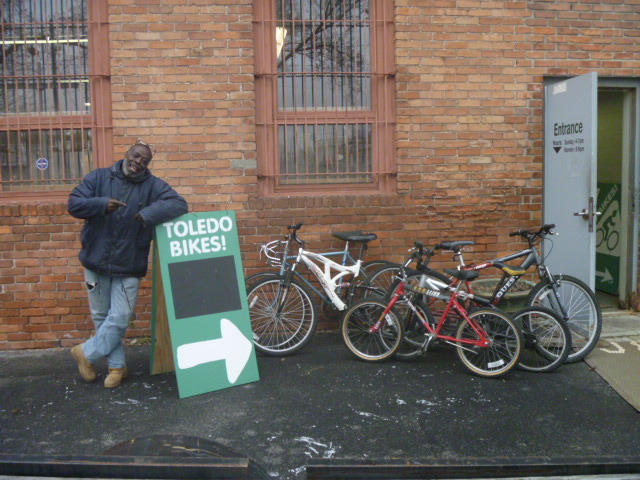 Toledo Bikes! is a non-profits 501 c.3 and all donations are tax deductible. Please help us by donating today! 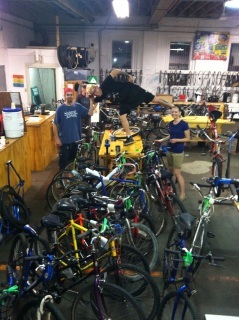 Drop offs: Bikes can be donated at our shop during our regular hours. We accept bikes working or not in any condition. 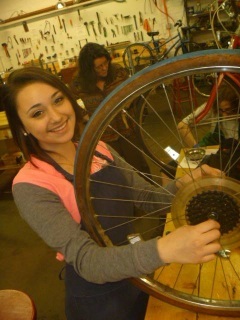 Bike parts, clothing, pumps, lights, cycling clothing, or anything bicycle related & bicycle shaped is also accepted. Tools - Metric wrenches, bike specific tools, adjustable wrenches, screwdrivers, and drill bits are always needed. Metal Working Tools - Grinders, files, air tools, jigs, vises, welding equipment, etc... We try to make art and other useful things from old bike parts. It is also sometimes necessary to use extreme measure to remove seized bike components. Your tax deductible donation will help us with maintaining & expanding our open shop hours, purchasing new tools for our tool library, sustaining our existing programing, and help us build new bridges into the community in the coming years. You will receive an e-mailed tax exemption form, and a mailed thank you card. A donation of $30 will help put over a dozen lights on the bikes of those who have none. Be it youth who complete our Build-a-Bike class, those earning a bike, volunteering in the shop, or people leaving Toledo Bikes! with no lights after dark. We hope to keep people alive so they can learn to ride safer! Help to put over a half dozen light sets on bikes that have none. Make those bike ninjas visible. All those receiving lights will get a tutorial in safe riding (riding with traffic, signaling, obeying traffic laws). 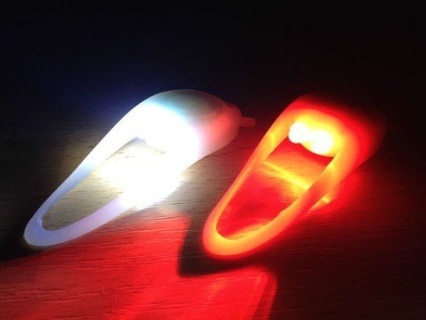 Your donation will purchase several sets of lights for those who have none. Help the old and young to be safe by being seen.